With the intensity of Eclipse Season now upon us, be prepared to harness this extra power boost to make meaningful and mega transformative changes in your life + career. The Sun continues buzzing right along in ♌️ Leo at the start of August, reminding us to continue committing to the projects & activities that make us feel the most authentic, alive and tuned in to our brightest & best selves. Meanwhile, a Full Moon Lunar Eclipse on August 7/8th and a New Moon Solar Eclipse on August 22nd may spell major changes for the world. In between, we will experience something often referred to as the ‘Eclipse Portal’. This is a time that may portend swift transformations both on a personal and wider collective level. You have a special opportunity now to move forward even more quickly in your life + career in what may even be surprising and exciting new ways. Pretty much anything could happen during Eclipse Season! However, Mercury Retrograde will also be making its seasonal appearance mid-month to shake things up even more and force you to re-think any major moves that may seemed like a super good idea at first, but will still need to make some important changes to later as new information is still yet to present itself. By the way, this NOT mean you should go on lockdown and call a biz hiatus while you hide away from your car & computer, but you may want to wait to transfer all of those vacation photos for now (as Mercury Retrograde has been known to upset technology at times). Simply try to be a little more cautious about making any rash decisions or pushing too hard when things aren’t moving forward the way you had originally planned. Perhaps, by the end of the month, you will even find that Mercury’s snafus have somehow set you on a better path than you had previously imagined! You’re on to something amazing, Aries! Your creative flames sizzle on into August as the sun continues blazing through Leo and your zone of Fun, Fame & Creativity. With Uranus also now heading into retrograde in your sign (where it will continue hanging out until early 2019), a personal revolution may be building beneath the surface. What can you do to make the work you do way more fun & creatively fueled? It’s time to put the days of bending over backward to please or impress others far in the past. Be prepared to utilize this cataclysmic Eclipse Season to allow yourself to do what you really love and let go of the rest. With the Full Moon landing in your Community Sector, I think you’ll find you can help even more of the right people when you make sure you are the one who is positively beaming with divine inspiration first. However, when it comes to Mercury Retrograde beginning on the 12th, there is something that still needs to be rearranged in how you think about your daily life and the many ways you support yourself through your work & health routines. Luckily, once Saturn moves direct on the 25th, you will be able to discover how to get on track towards a more magical and meaningful lifestyle that can give you the ability to chase your curiosities and expand your mind in much more exciting ways. After last month’s networking kick, have you thought about looking towards the future to try to figure out how to capitalize on your growth? Making your long-range plans an even bigger priority is favored now as the Sun continues lighting up your 4th house of Home, Family & Long-term Financial Security for most of the month. With the Full Moon Lunar Eclipse falling on the opposite end in your Career Zone, you may have some fears to leave behind that have been keeping you from reaching out and grabbing that feeling of true and lasting success by the horns. Don’t hold yourself back from establishing yourself on a greater level and creating the stability and solid ground you crave. It’s still Leo Season for a few more weeks, so channel your inner lion & be courageous! As Mercury Retrograde creeps in mid-month, there may be a few creative plans to revisit, however. If your artful experiments require you to take a step back to see the whole picture, embrace the opportunity to see things from a new perspective so you can find even more balance. Once Saturn moves direct on the 25th, your business plans will finally be rolling right along in the right direction again, and soon after, you’ll finally have the clarity you need to put better systems in place to help you reach your life + career goals. As Leo Season continues, the search for the best people to collaborate with is on! The beginning of August is a great time to get out to mingle and meet new people as you share your ideas with others online & off. With the Sun zooming through your Social Networking sector for most of this month, maybe you could even think about reaching out to someone you admire to ask them if there’s anything you could do to put your skills together to make some magic on a joint project. Once the Full Moon Lunar Eclipse hits your 9th house of Travel & Higher Learning it can bring exciting changes and expansive opportunities if you’re open to ditching the fear and using your intuition as your guide. Your heart knows what it wants, so don’t let your mind psych you out or run you down with all of the distracting big picture details now. With Mercury heading into retrograde starting on the 12th, try not to feel like you need to make any set decisions for the long-term future just yet. Try to go with the flow and be open to meandering through the changes and clues that come up on your path one-by-one because chances are they will end up taking you somewhere even better than what you were originally planning for to begin with. Ever since this season began, you may have been deep in thought about not only what the overall meaning is behind the work you’re doing every day, but also how you would really like to become known & remembered by others. Now, as the Sun continues blazing through Leo for most of August, it’s time to review what you really desire underneath it all – whether it’s money, love, or another preferred measurement of self-worth – as well as considering what it’s going to take for you to call it in. With the Full Moon Lunar Eclipse landing in your Business Zone, there may also be some important financial details to go over as you put together your grand master plan. Uncover any flaws in the inner workings of your work efforts so you can move forward after the New Moon Solar Eclipse on the 21st with a clear & practical picture in mind of what will be required of you to attract your true desires. As Mercury Retrograde spins backward for most of the month, you may also need to take a look around and reconnect with your old connections. Use this time to your advantage by following up with people from the past or revise your social media marketing strategy to portray a clearer message. Re-think, review, and be prepared to shift gears as re-alignments may still need to be made along the way. After a month of reconsidering what it is you really want to accomplish on a deeper soul level (and why), this is your time to go for the gold and start turning your seedling ideas into full-on sprouts that can eventually grow into even bigger things to come. Don’t be afraid to cast aside your vulnerability and be bold! Deep down, your ferocious lion’s heart just wants to be loved and appreciated for the special gifts you have to offer. However, with the Full Moon Lunar Eclipse in your Relationship Sector, you may need to update a business or romantic partner on what that would really look like for you in an ideal world. For some lionesses, this may mean letting go of a less than stellar situation or getting set up with a new & improved partnership strategy. 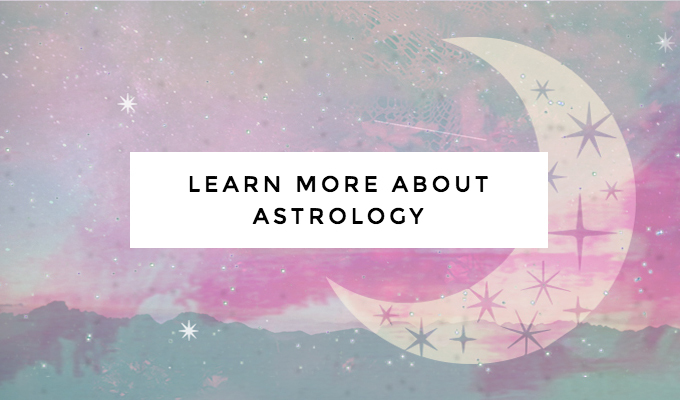 With Mercury Retrograde mincing up your money situation, you may need to go back to the drawing board and do some ruminating on what your rock solid goals really are BEFORE you can launch ahead with a new campaign. Luckily, after Saturn straightens out at the end of the month, your creative projects can finally get a much-needed boost in the right direction as you get on track with exciting ideas that could have the power to light your fire into the long-term. Time to ask the deeper questions this month, Virgo! You may be feeling caught adrift in a sea of feelings & emotions, as you drudge up seemingly lost ideas of what you have been wanting to accomplish for a super long time as the Sun forays through your zone of Mystical Pursuits for most of August. As you get to the bottom of what you really want to be doing with your precious time on this planet and begin to play with different ideas & notions along the way, the Full Moon Lunar Eclipse will swoop in to dislodge any leftover worries or fears that have kept you from designing the daily lifestyle you dream of. You may not quite know where you’re heading yet, but making the most of the smaller details such as your health & work routines will help get you set on the right path. Unfortunately, these feelings of confusion may very well continue until the end of the month, with your ruler Mercury messing with your mind and forcing you to re-think how you are portraying your personal brand of magic to others, yet Saturn’s direct motion on the 25th will finally allow you to get clearer on where you would like to see yourself end up in the long run so you can make a practical plan to get there. While last month was all about building up your career, this one is more about building your community. Hopefully, you’ve gotten much clearer on what you have to offer so that now you can find more ways to reach out to help others and connect by giving back as the Sun moves through Leo & your zone of Community Action. Just don’t make it ALL about the crowd, dear Libra. With the Super Full Moon Lunar Eclipse falling in your Creativity sector, you’ll need to be mindful that you are filling up your cup before you give others a sip of the magic you have on tap. Your inspiration is one of the most important parts of the puzzle when it comes to pairing your skills with what the people are demanding! 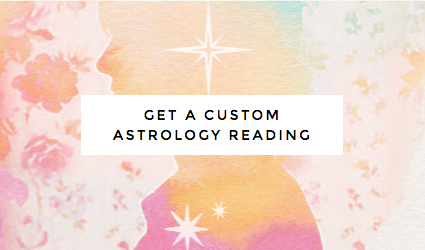 You may also need to take a little more time to ruminate on your “why” with Mercury Retrograde fixated on helping you dissect your deeper dream vision for the future (so don’t feel like you need to rush). 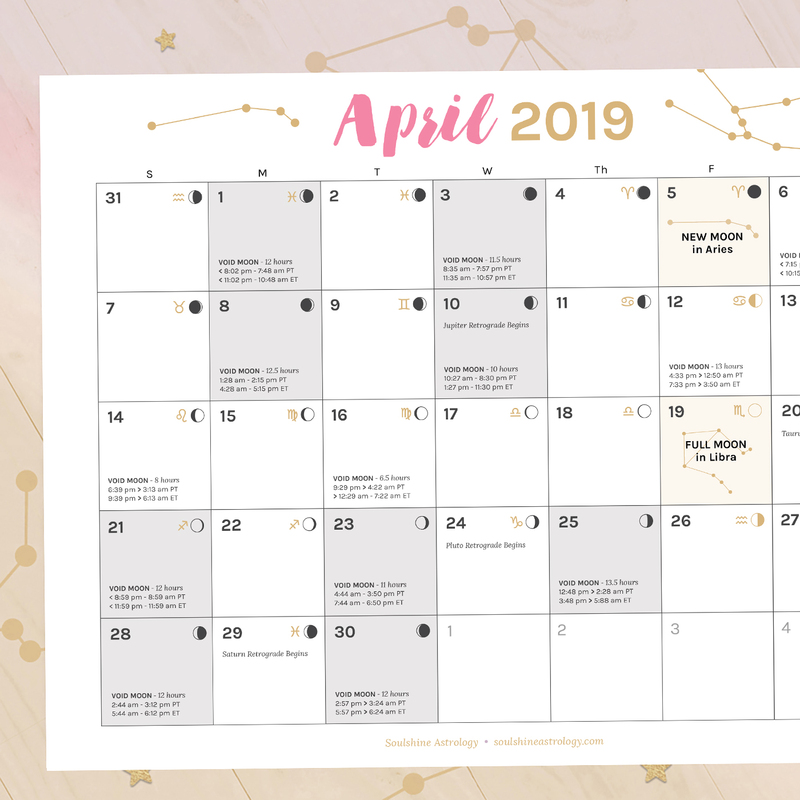 Luckily your ruler Venus is still blessing your career moves with a special dose of love & money this month, and once Saturn comes around on the 25th you will also have a better idea of the type of clients, customers & connections who truly belong in your ‘in crowd’. Good news, lovely Scorpio! This month your career is in the spotlight and it’s your time to shine by doing what you love. With the Sun cruising through your Career Zone for most of August, you can start building up your influence and setting yourself up for a bigger feeling of success. However, listen up because the Full Moon Lunar Eclipse will be requiring you to check your insecurities at the door. It’s time to clear away any fears around not having the right long-term foundation you need to help support you in creating the career you crave. Use this cleansing moon to let go of home, family, or deep-seated financial issues that are holding you back from stepping up to the next level. As Mercury floats backwards for most of this month, you may need to revisit your community offerings for a while. How do you want to be of helpful service to others? Mercury will be asking, so don’t be surprised if you need to rearrange some plans along the way. You’re in luck because after all is said and done, Saturn will be picking up speed in your zone of Love & Money, helping to turn around your financial picture and get in gear for a more prosperous future. After last month’s frenzied focus on clarifying your business & money blueprints, you may be ready to take off and chase after some of your more interesting curiosities. With the Sun gliding through fun-loving Leo and your zone of Travel, Spirituality & Education, this is the month to step out of your normal daily routines and let yourself go off and learn something new. Maybe you are even the one who has something you’re ready to teach? Our big time Super Full Moon Lunar Eclipse will signify a major transition point as you manifest blessings that may have come from many months of tapping into your network, while also letting go of any fears or old beliefs that have somehow led you to believe that the people around you won’t be as receptive to the unique teachings that you have to share. Unfortunately, Mercury Retrograde still has quite a few things to say about the matter, as it glides backward through your Career Zone for most of this month. The topic of how you would really like to be known by others on a bigger level may be up for debate, but before long, Saturn’s direct motion on the 25th will help you find more clarity around the work you’re really here to do, so you can get back on track to making it happen in an even more miraculous way. Time to get real, Capricorn! Are your daily work efforts bringing you towards the bottom line you truly crave? As the Sun hustles through Leo and your zone of Business, it’s time to revisit the systems and strategies you have in place to manage & maximize your time and resources. Before you can build up a more solid system, however, you may need to remind yourself what the end goal is really all about for you. The Full Moon Lunar Eclipse falls in your 2nd house of Love & Money, so letting go of issues of poor self-worth that have been keeping you from reaching out and grabbing what you truly desire underneath it all MUST be banished before you can move ahead. With Mercury Retrograde sending your mind running back over your ideas of what interests you, you may be questioning the ways that you would like to grow & expand next. Try to use this time to explore your ideas and follow your excitement, because when your ruler Saturn goes direct on the 25th you will be in much better shape to bring your deeper spiritual pursuits into being on a more practical level as you head off towards an even more fulfilling future. Who can you turn to for support when you need it? As the Sun floats through Leo and your Relationship zone, it’s time to consider how someone else can help you meet your needs in more meaningful ways (and how you can help them, too, of course). Perhaps you are ready to team up on a business partnership or simply open your heart wider to love. Just remember that your relationships often portray a reflection of your relationship with yourself. So, with this mega Full Moon Lunar Eclipse landing in YOUR sign, gaining clarity around who you really are and what you’re here to do is an issue you may need to sort out before you can become magically ready to merge. As Mercury heads backward through your house of Business for the majority of this month, you may have some financial systems to untangle as well. Don’t rush ahead on any business deals unless they can remain more open-ended and able to evolve as you go (because evolve they shall!). Luckily, as we get to the end of the month, you may not only have a much better idea for earning money, but also a clearer concept of how to efficiently deliver what your community is really craving from you. Okay, Pisces, tell the truth. Are you taking good enough care of yourself? With the Sun crossing through Leo, your daily routines are in need of a refresh this month. As they say, health is wealth and working yourself into the ground is so out of style (they do say that, right?). When you support yourself you can support others so much more, so it’s about time you reprioritize your schedule to put your self-care at the top. With the Super Full Moon Lunar Eclipse landing in your vulnerable 12th house of Mystical Pursuits, you are reaching a fateful turning point that can help get you on a more spiritually centered path that allows you to serve from your soul. Use this lunation to close out that old, confusing chapter on your deep inner fears, so you can move forward into the future with a practical plan that has a much deeper purpose. As Mercury Retrograde zooms back through your Relationship zone, you may need to revisit some ghosts from the past there as well, but in the end, this revision period will bring in so much more clarity that can help you formulate a more narrow focus towards designing the dreamiest vision possible to bring you closer to your ideal life & career.